Don't miss this outstanding line up of FREE programs. GENERAL cross-industry panels include conversations with Charles Adler, founder of Kickstarter, Jimmy Chamberlin of the Smashing Pumpkins and others on brand building, business plan development, funding models and how new technologies are disrupting old business models, as well as a Sunday brunch-time conversation with Rochelle Trotter, jazz pianist Reginald Robinson, Kartemquin Films' Gordon Quinn and politician turned food entrepreneur Carol Moseley Braun led by Alison Cuddy of the Chicago Humanities Festival on the idea of artistic legacy. VISUAL AND PERFORMING ARTS highlights include Chicago artist Carlos Rolón/Dzine giving a talk on his career trajectory from Chicago street artist to international art scene and Chicago Sun-Times' Hedy Weiss moderating a panel on performance space development. Look also for performances by international artists practicing the art of butoh, the beautiful Japanese movement techniques. FILM highlights include representatives from Kartemquin Films (Hoop Dreams and The Interrupters) talking about the rapid evolution of documentary and social issue filmmaking and award-winning recording engineer Leslie Anne Jones of Skywalker Sound (Apocalypse Now and Requiem for a Dream) discussing her celebrated film career. Additionally IFP/Chicago will provide programs to discuss career development areas such as financing and grants, web series production and emerging camera technologies. Gene Siskel Film Center, 164 N. State St., and Chicago Cultural Center, 78 E. Washington St.
MUSIC highlights include music entrepreneur and founder of Sire Records Seymour Stein, in discussion with Greg Kot of the Chicago Tribune and Sound Opinions, and Kevin Lyman, creator of the Vans Warped Tour and founder of the new educational platform The Entertainment Institute, giving a presentation on entrepreneurial thinking for musicians, as well as panels on music revenue streams, branding and current trends in the local market. Hard Rock Hotel Chicago, 230 N. Michigan Ave.
CULINARY highlights include a panel on farmers markets featuring Jim Slama from FamilyFarmed, Marcel Van Ooyen from Grow NYC, Trudy Tolliver from Portland Farmers Market and Corey Chatmanfrom Chicago's Experimental Station, and a discussion on the evolution of Chicago's restaurant scene moderated by David Manilow, creator and executive producer of "Check, Please!," with panelists Michael Kornick of DMK Restaurants, Rick Bayless of Frontera Restaurants, Alpana Singh, owner of The Boarding House and Seven Lions, and Brendan Sodikoff of Hogsalt Hospitality. Macy's on State Street, 111 N. State St. FASHION highlights include a series of conversations covering topics around "getting made" (manufacturing), "getting in" (buyers and boutiques) "getting connected" (community engagement and marketing partnerships) and a discussion created by Susanna Negovan of Splash. Panels will also discuss professional topics including material sourcing and legal issues. Virgin Hotels Chicago, 203 N. Wabash Ave. Please join the conversation on Facebook and follow us on Twitter @LakeFXChicago. To plan your trip to Chicago for the Lake FX Summit + Expo, visit choosechicago.com. and co-produced by CIMMfest and The Recording Academy® Chicago Chapter. Event sponsors include Chicago Sun-Times, Chicago Reader and Splash; Virgin Hotel Chicago, Chicago Transit Authority, WGCI and V103. Billy Dec’s back on the Today Show cooking and unveiling a dish from the new Rockit, set to relaunch this Spring. Click to watch the video and get the recipe! Gregory Prescott chases the light between NYC and LA, enabling a large network of models to express his artistic vision. He aims his camera at people to celebrate the beauty and diversity of the human form. 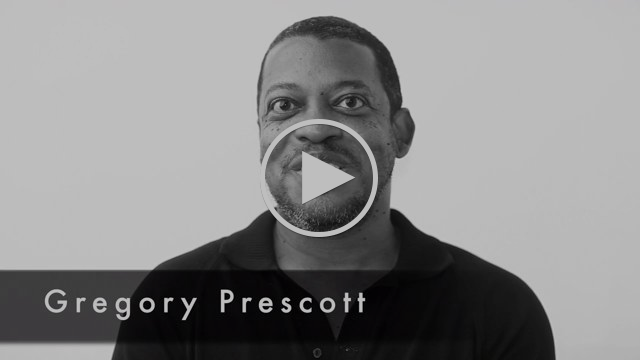 Nicholas Fahey of Victory Projects hosts a conversation with photographer Gregory Prescott. Following the lecture guests will sit down and break bread with the artist. After a night of conversation, good food and Frey Vineyards bio dynamic wine each guest will receive a signed print from the artist. Wanderlust, producer of the largest yoga lifestyle events in the world, reveals the world tour dates and locations for Wanderlust 108, the world’s first and only “mindful triathlon.” Coming to large public parks in top markets in the United States, Canada, Australia and Mexico, Wanderlust’s reimagined triathlon consists of a five-kilometer run, a large-scale 90-minute yoga class and a guided meditation led by the world’s top teachers. Mindful triathletes will also enjoy musical performances from live bands and DJs, acroyoga, hooping and other surprises throughout the day. It’s a fun-filled day in the park that will both challenge you and bring out your best. At all Wanderlust 108 events, the Kula Marketplace will offer the finest from local craft vendors, including unique apparel, jewelry, and handcrafted items. Local food purveyors will provide an eclectic mix of healthy organic food options, including vegan and vegetarian fare. Wanderlust 108 first launched in New York’s Prospect Park and Atlanta’s Piedmont Park in 2014, bringing the mindful triathlon experience to over 10,000 participants. After this overwhelmingly positive response, Wanderlust 108 will expand to 15 cities in 2015, including 11 events in the U.S., three events in Canada, two in Mexico, and two events in Australia. Mexican tour dates and venues will be announced later this summer. Wanderlust’s official performance apparel sponsor Athleta, a premier fitness apparel brand exclusively for women, creates versatile and fashionable performance and lifestyle apparel for the fitness-minded woman who lives life on the go. Athleta offers apparel and gear for a range of activities from yoga and spin to strength training and run as well as seasonal sports, including ski and tennis. Luvo will be sampling their wholesome, convenient meals made from fresh, nutritious ingredients. You’re about to fall in love with frozen food. is proud to partner with Wanderlust for the third straight year. And this year, they’re excited to share their latest innovation with attendees: a new mindfully redesigned bottle, available Earth Day 2015.
, a yoga clothing brand for high vibration living, aligns the vision of the ancient practice of yoga and the modern world. program, and this year, Fortune Fish has decided to return to Fullerton Beach, one of Chicago's most utilized waterfront playgrounds located in Lincoln Park. During the cleanup, the Fortune Fish & Gourmet team, along with participating customers, will not only remove litter from the beach, but will also help to conduct a beach health assessment that will be used to educate the public and improve Fullerton Beach's overall appearance and condition. whose mission is to inspire a healthier America through partnerships that raise awareness about the essential nutritional benefits of eating seafood and Sea Pact whose goal is to make the seafood industry a more sustainable and eco-friendly one.To learn more about the company, visit www.fortunefishco.net or call 630.860.7100.